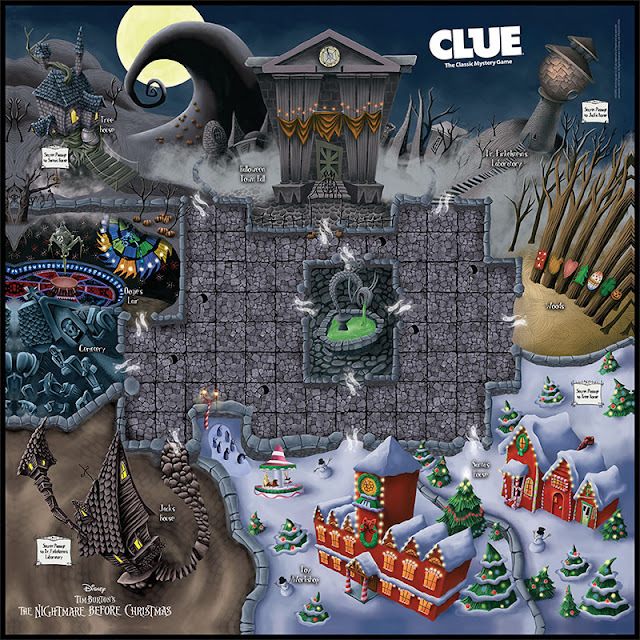 Sandy Claws has been kidnapped! 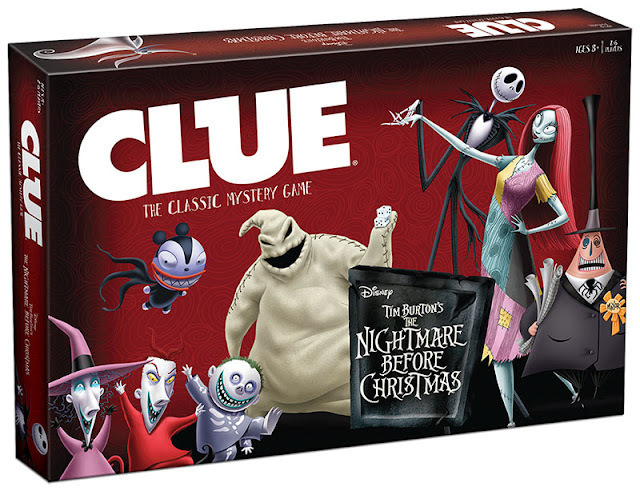 Relive the creepy Christmas fun of the Tim Burton classic film while solving the mystery of who snatched him, what the culprit used, and where he is hidden in time to save Christmas! 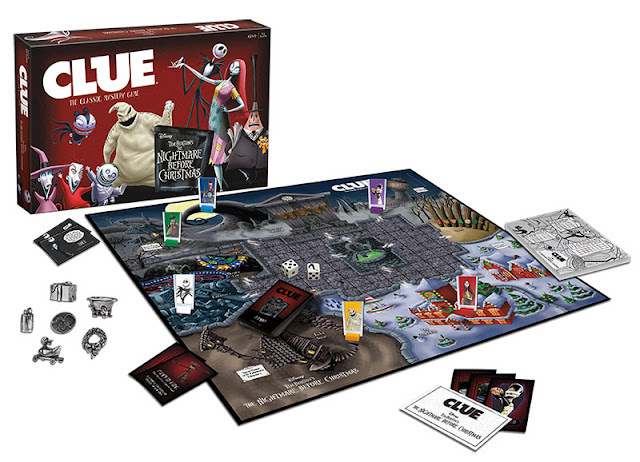 Includes illustrated game board featuring Halloween and Christmas Towns, 6 suspect personality cards (Sally, Two-Faced Mayor, Jack Skellington, Oogie Boogie, Lock, Shock & Barrel, and Dr. Finkelstein). 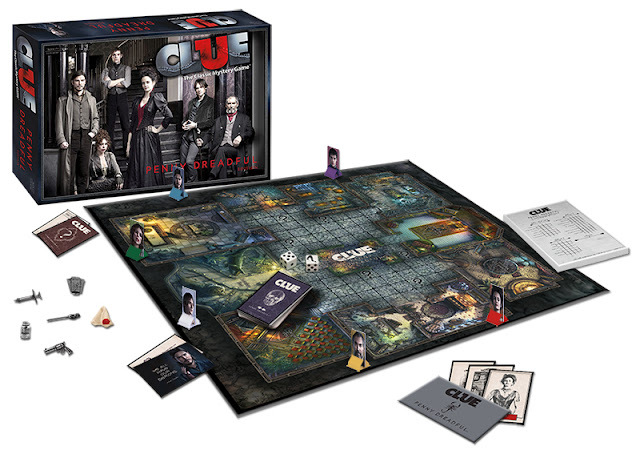 Also includes 6 metal weapons (Zombie Duck, Bathtub, Present, Wreath, Frog's Breath, and Bear Trap), rumor cards featuring 6 suspects, 9 regions, and 6 weapons, score pad, and instructions. For 2-6 players, ages 8 and up. 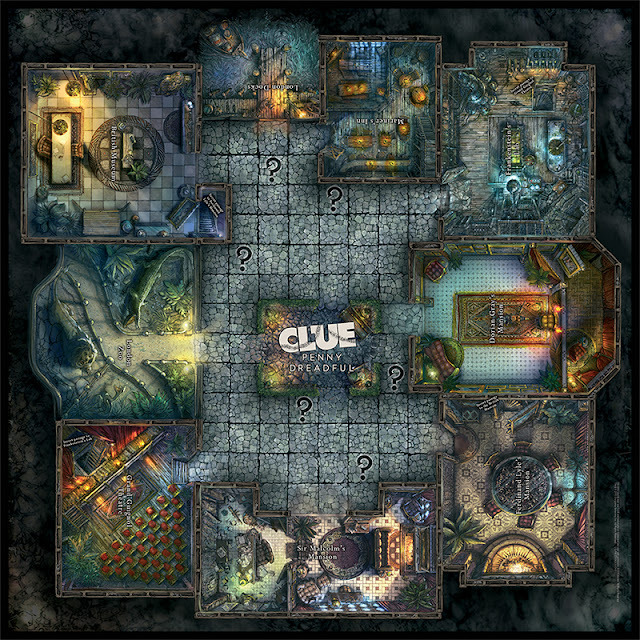 Find out WHO killed Mina, WHERE they killed her, and with WHAT weapon. Was it Dorian Gray with a Syringe at the London Zoo? 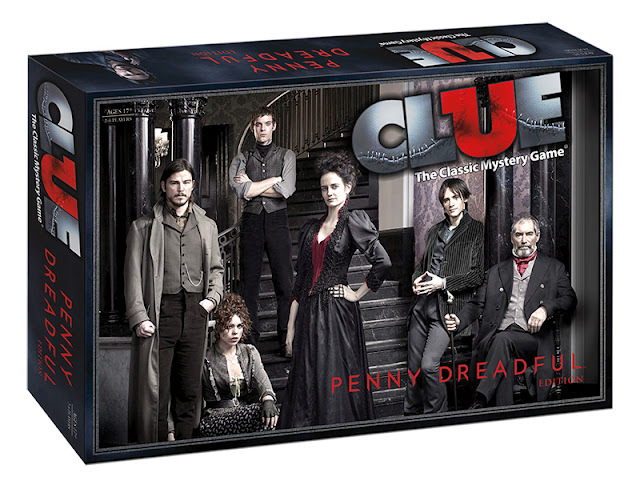 Or was it Vanessa Ives in Ferdinand Lyle's Mansion with Arsenic?